Traditional Cotswold Stone Cottage, Winchcombe, Cotswolds Way. No 5 is set in this traditional Cotswold town, the cottage is newly refurbished in the style of a luxury boutique hotel with the added benefit of your own front door. The town is a fabulous place to enjoy a romatic break or time exploring the area with friends or family. There are many great places to eat and many lovely food shops and a deli to purchase local produce and cook up a feast to enjoy back at the cottage in front of the fire. The owners are local and are very happy to be on hand to recommend local walks, cycle routes or places to visit and eat. Lovely cottage with all the mod cons, in a central position with easy parking. Lots to do and see in the area...and a lovely cottage to come back to . The beds were wonderful and the Thai restaurant even better! I do agree from comments made that a microwave would help enormously. Glad you enjoyed your stay in the cottage and also got to explore the town and local areas. Just placed the order for a microwave, to be delivered later this week! Thank for choosing our cottage for your stay. We had a great 4 night break in this lovely cottage. It is beautifully furnished and was very warm and comfortable. It's location in the heart of the town makes everything within walking distance, we didn't need to use our car at all. Lots of walks direct from the front door. 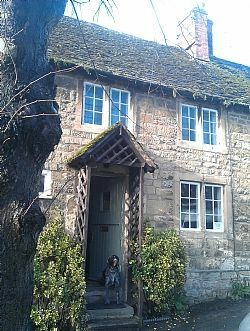 I stayed here with my young family & our dog & we loved it. The cottage had all the modern amenities, yet still as lots of features you imagine in the Cotswold's. It was very clean & the beds were very comfy so we all had a good night sleep. The cakes on arrival were a lovely touch. The surrounding area & villages were beautiful & we would definitely recommend & visit again. Thanks for a brilliant stay. No 5 Vineyard Street is a characterful and cosy cottage close to the centre of Winchcombe. We went to three pubs - corner cupboard, plaisterers and white hart, the latter being easily the nicest in terms of atmosphere and decor. Though the plaisterers has a charming Irish landlady. The cottage is well equipped though anyone with limited mobility might struggle with the stairs ( no bannister and steep). Lots of steps within the cottage as you’d expect in a building of its vintage. Every thing was perfect for our stay in a lovely cottage. An ideal location in a charming, not so touristy location, with a castle down the street, or is it up? As an interior designer I appreciated the thoughtful, aesthetic design of the home. Very roomy for 2 people and easily comfortable for four. We were greeted by a delicious cake which lasted us through our stay. For me, the highlight was the bedding. Plentiful down pillows and a comfortable mattress, warm covers. Note to Americans: we never had a top sheet anywhere we stayed and the duvets can get warm. Tons of reading material including so many guides to the area. Very quiet street. We had just come from a wonderful experience in a large manor and so loved the experience of this cozy cottage (which btw had better bedding than the "manor.") Thanks to our hosts for a perfect setting in the beautiful Cotswolds, heaven on earth. Bike Hire, Route planning and guided cycle tours can be organised and tailored to your requirements and ability. Booking Notes: Book via email. Deposit to confirm and full pre payment 4 weeks prior to arrival Changeover Day: 3 nights minimum stay Changeover day is flexible Notes on prices: £99 per night, 3 night minimum stay / £595 per week £15 per dog Some peak holiday weeks have a minimum 7 night stay, please enquire.